Low stool on swivelling, chromed steel base. The shell with high backrest is in polypropylene, upholstered in leather, faux leather, fabric or costumer’s fabric applied to the seat surface. Seat height 65 cm. 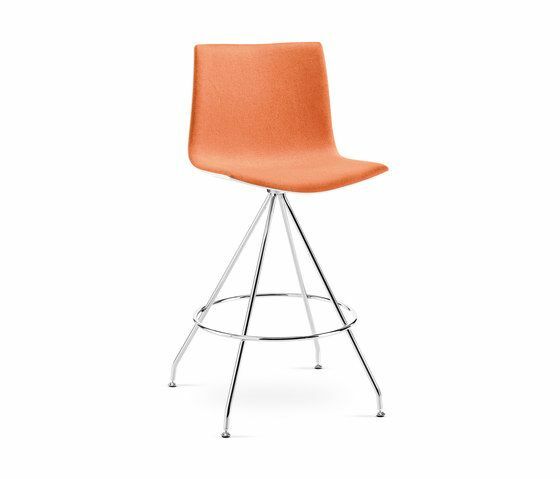 Backrest height 100 cm.